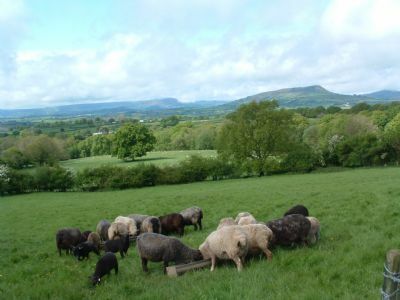 My home and farm is Graig-Fach Farm which is a small grassland holding in the foothills of the Black Mountains in South East Wales, UK. 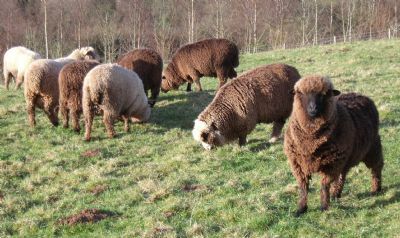 I specialise in producing fine fleeced coloured sheep for their wool which I sell to hand-spinners and felters. I am also a needlefelt artist specialising in illuminated lettering and small animal miniatures. I am a Director of Wonderwool Wales Ltd, one of the top fibre shows in the UK. I also help with the organisation of the Llanidloes Wool & Willow Festival in Powys. More information about these organisations can be found on their websites, accessible on my ‘Links’ page. Please note that you may find my products under the name 'Borderbears'.